Arduino is both a microcontroller and a programming software. 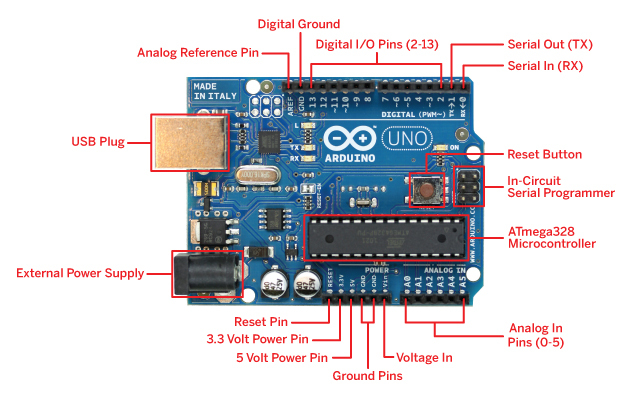 Review this slideshow from class which runs through the basics of Arduino, with links to tutorials for basic analog and digital input and output. If you are using DC motors, be sure to check out the circuits near the end of the slideshow. For most dc motors, and for multiple servo motors or large quantities of LEDs, it will be important to utilize an external power supply. For homework next week, be sure to come prepared to class with materials to work on your projects.